This may at first glance look like an odd giveaway to host but when the people at Bimuno prebiotics saw my post about the extreme bloating IBS causes me and got in touch to offer IBS treatment help to me and a reader I was in like a shot. Giveaway is UK only. My IBS is really problematic at the moment, so much so I've completely given up bread and diet coke/pepsi as I'm sick of the pain and 8-months-pregnant look of the bloating afterwards. I'm getting the giveaway up before I've given the pastilles a full trial so that if you have IBS you can get some relief a little before the Christmas season and all its funny/extra food kicks in and makes your life a misery. I will do a follow up post in 1-2 weeks to let you know what my experience has been. The pastilles are soft and chewable with no discernible taste, and the suggested dose is two pastilles after breakfast, so you get a 15 days supply per packet. At Bimuno we understand the impact digestive health can have on your ability to enjoy life to the full. 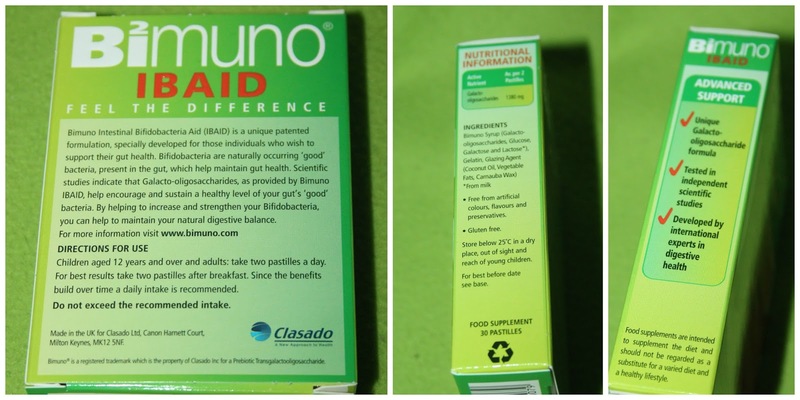 Bimuno® Intestinal Bifidobacteria Aid (IBAID) is a new and convenient way to help maintain intestinal balance and comfort. This unique patented formulation has been specially developed by international experts in digestive health. Bifidobacteria are naturally occurring ‘good’ bacteria, present in the gut, which help maintain gut health. Scientific studies indicate that the unique second generation prebiotic Galacto-oligosaccharide formulation of Bimuno IBAID, helps encourage and sustain a healthy level of these ‘good’ bacteria. By helping to increase and strengthen your Bifidobacteria, you can help to maintain intestinal comfort. 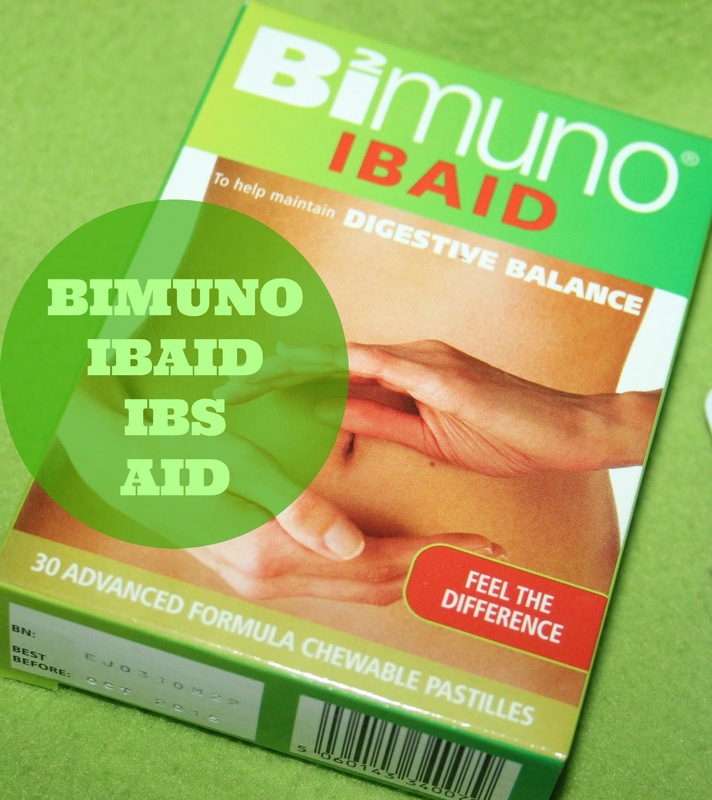 Bimuno IBAID is ideal for people who are looking for an effective means of managing their gut health. Since the beneficial effects of Bimuno IBAID build over time, it is recommended as part of your daily routine. You can read some expert testimonials here and celebrity testimonials here. Prize is one packet of 30 IBAID pastilles for one winner in the UK. The giveaway is time sensitive due to the Christmas post. Winner will be drawn out of a hat at midnight UK time on 12th Dec so I can get the IBAID posted to you before Christmas. Winner will be notified on the 13th. I look forward to trying IBAID out and I'm really hoping it helps me.